BioEurope Spring took place from 20 to 22 March in Barcelona. It is the first partnering conference between the pharmaceutical industries, biotech companies and investment firms. Atlanpole Biotherapies took part with Ose Immunotherapeutics, Clean Cells, Horama, Atlanta, Porsolt, Biofortis Nutrisciences, CHELATEC, OGD2 and Yslab. There were many opportunities and very active participation by these companies, all members of Atlanpole Biotherapies cluster, including numerous business meetings, as well as R & D partners, customers and investors search. 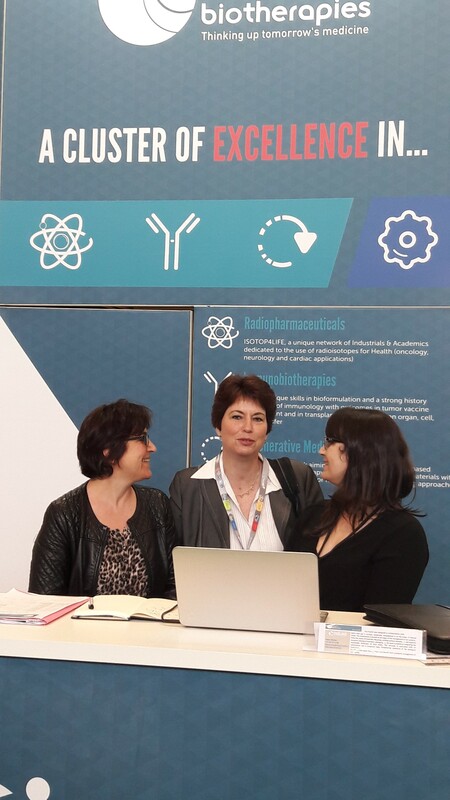 During the event, on Tuesday, March 21st, the first networking event was held between the companies of the clusters that are partners of the Boost4health European program, at Biocat’s booth, the Catalan Biotechnology Companies Network.